When I first started at WOLA, my team had just begun a rebranding process—basically an overhaul of the organization's descriptors, visual identity, and digital presence. Over the last year and a half, I'd say we've come pretty far. 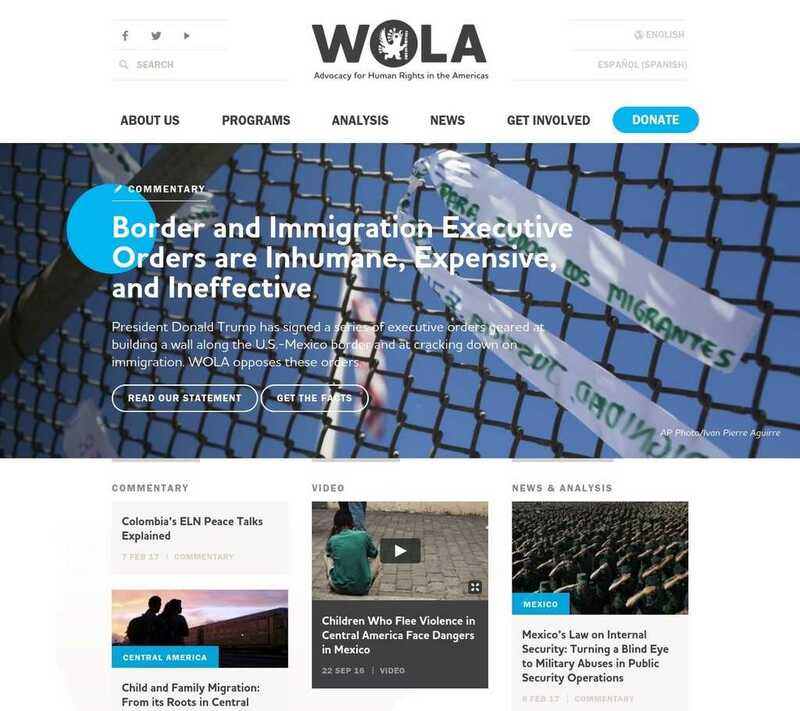 I had major roles in two parts of the rebranding: creating all of the new brand collateral, and project managing the creation of WOLA's new website. I also ran the process of creating all of WOLA's new brand collateral, with our comms director Kristel Mucino setting the editorial tone. This meant working with our excellent graphic designer to create logos, brand guidelines, social media banners, stationary, business cards, a publication template, and smaller redesigns of three WOLA blogs (and I'm sure there's more that I'm forgetting). 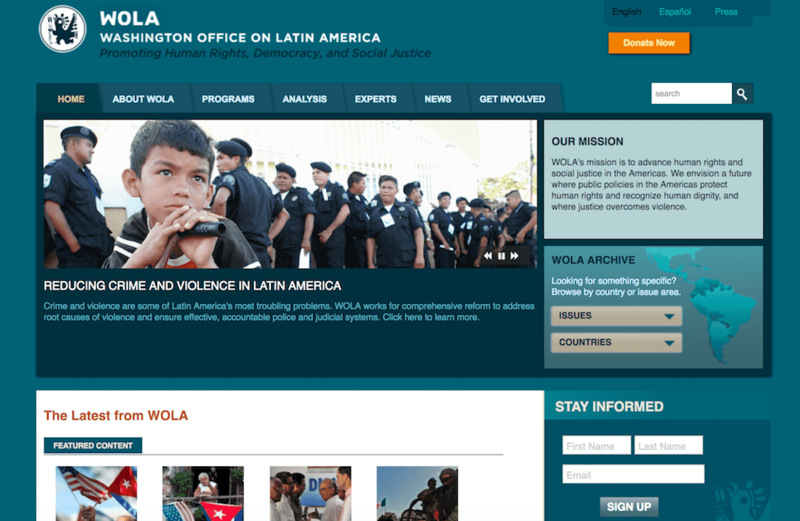 One of the biggest challenges of the rebranding was socializing the new guidelines across WOLA's staff. We had to convince staff why it was a good idea to rebrand the organization in the first place, and get people to buy into the process. It took a while, but I think we're finally there.